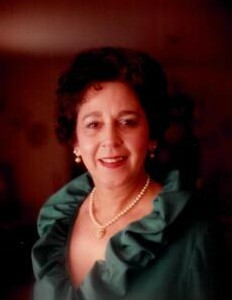 Obituary for Rosette Antoinette (LiCausi) Boarman | Donaldson Funeral Home of Clarksville, P.A. Rosette Antoinette Boarman of Fulton, MD passed away amongst her family on Tuesday, September 3, 2018 at the age of 96. She was born in Washington DC on March 18, 1922 to Nunzio and Antoinette LiCausi. Rosette was the eldest child of four, having three younger brothers, Mario, Stephen, and Joseph LiCausi. Rosette attended Roosevelt High School in Washington DC, where she met and married her high school sweet heart, Florentine J. "Larry" Boarman. Married on her husband's birthday, October 2, 1946, they celebrated seventy-one years of marriage before Larry passed away on July 4, 2018, only two months prior to Rosette. In 1955, while simultaneously operating their farm and raising three children in Fulton, they founded Boarman's Meat Market in Highland. The store has remained family owned and operated since its inception. Rosette and her husband Larry were longtime parishioners at St. Louis Catholic Church in Clarksville, and remained devout in their religion throughout their lives. Rosette is survived by her three children, Elizabeth A. Brian, Marlene B. Feaga, George L. Boarman, together with ten grandchildren, fourteen great grandchildren, and three great, great grandchildren. Relatives and friends may call Donaldson Funeral Home, P.A., 12540 Clarksville Pike, Clarksville, MD on Monday, September 10, 2018 from 2:00 to 4:00PM and from 6:00 to 8:00PM. Mass of Christian Burial will be held at St. Louis Catholic Church, 12500 Clarksville Pike, Clarksville, MD on Tuesday September 11, 2018 at 11:00AM. Interment private. Donations may be made to St. Jude Children's Research Hospital.